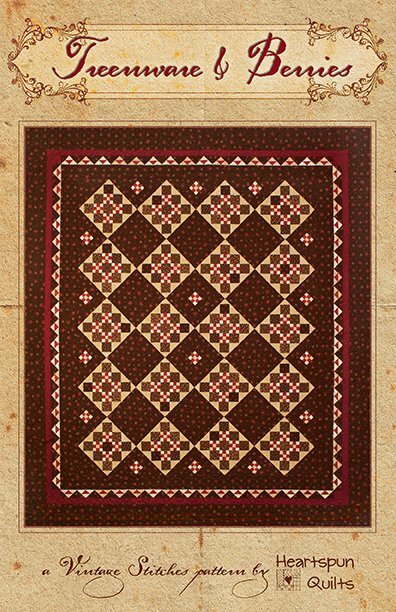 Treenware & Berriesis a classic and traditional three color quilt done in warm browns, reds, and luscious cream prints. The quilt pattern features several fun blocks that really show off everyone's favorite block, the Nine Patch!! If it looks hard to make, that's OK! It's actually quite easy, really!! The cover quilt is made from the Treenware & Berries fabric collection, by Pam Buda of Heartspun Quilts for Marcus Fabrics. Finished quilt size: 81" x 93"